A wedding takes a great deal of planning. Getting the decorations, food and theme right at the venue can be exhausting and time consuming. And, even after spending a good deal of time and effort, you may still feel that something is missing. Well, you can add panache and flair to your wedding venue without spending a lot of money. Getting a customized ice sculpture can add zing and drama to your wedding without too much effort. If you are wondering why you should seriously consider an ice sculpture for your wedding, here are some extremely convincing reasons. The beauty of ice is that it can be sculpted into any shape. This gives you the freedom to personalize your wedding the way you pictured in your dreams. You can get ice sculptures in just about any shape or size; and if you always wanted a particular shape as a part of your wedding, all you have to do is think about it and the ice sculpture company will create a unique and artistic design that matches your dream shape. Imagine having a beach wedding. You can make this wedding more memorable and exclusive by getting an ice sculpture shaped like a dolphin. You also can get sculpture made from clear or colored ice. So, if you like, you can match the color of the ice sculpture to the color of the décor at the wedding venue. This will further help to personalize your wedding. Another wonderful way to add the zest of lavishness in your wedding is to order an ice luge. Not only will it maintain the temperature of the drink but will also help to mark your wedding as an extravagantly superb one. Like ice sculptures, you can order ice luge in any shape you desire. Many couples assume ice sculptures are expensive. On the contrary, this is a competitive market and as a result, the cost of ice sculptures is affordable. You can get sculptures in an array of shapes and sizes without creating a hole in your bank account. However, ice sculptures are artistic and attractive. 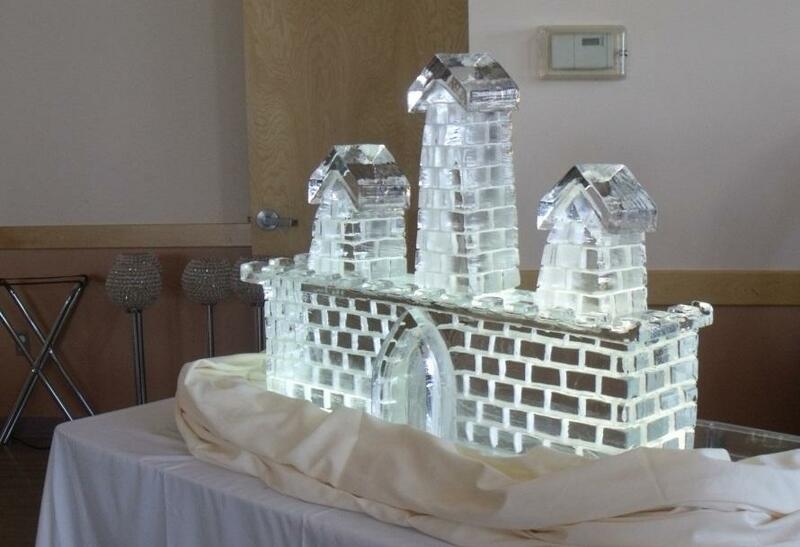 You can generate a lot of excitement and interest among your guests with a sculpture made from ice. Your guests will find it interesting and it will create a talking point. You can rest assured with a creative and beautiful sculpture, your guests will not forget your wedding for a long time. Furthermore, ice sculptures look lavish because they are intricate and luxurious. They can add that lavish touch to your wedding effortlessly. If you think ice sculptures look cold and boring, think again. You can incorporate special decorations as well as objects into the sculptures. Things, such as Cupid’s bow and arrow, flowers and even balloons can be made part of the sculpture to add that wondrous touch to the sculpture and make it decorative and special. Each time you look at your wedding photograph, you can be certain you will pause a long time admiring the ice sculpture that graced your wedding. With such a wide range of three-dimensional designs, it is impossible not to find one that suits your budget and taste. You can make your wedding more striking and alluring by having an ice sculpture. Imagine how wonderful the sculpture will look as the focal point in the venue. Alternatively, you can create multiple focal points by using smaller ice sculptures as centerpieces for tables.